On behalf of the Board of Trustees I am writing to share exciting news about plans for a campus expansion. We will build a multipurpose space on the pad adjacent to our school, just on the other side of the plaza fence to the left of the school entrance. This 17 year old dream has been made possible thanks to our very generous donors. For several years the school has been considering alternatives to the Yellowwood building, due to the increasing cost of its maintenance, and the uncertainty of its future ownership. 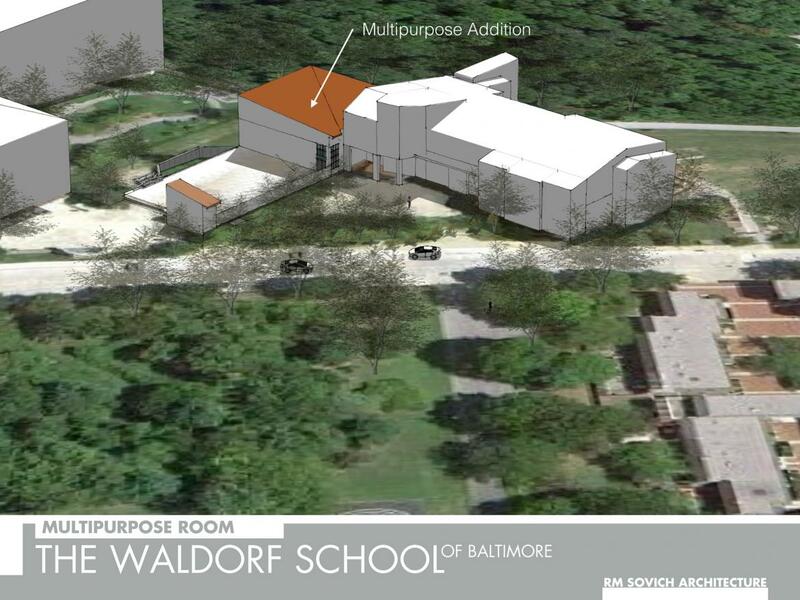 Recently, the Board carefully reviewed a proposal from the Buildings & Grounds and Finance Committees, and determined that this expansion is both a core need for the school and that it supports the fulfillment of our mission: To educate and inspire children to think, act and feel with depth imagination and purpose. This is cause for great celebration! At last, we will have our own, dedicated multipurpose space, designed to hold the signature WSB activities that enrich our children's educational experience. In addition, the entire community will be able to enjoy their favorite annual assemblies, concerts, and class plays in a beautiful purpose built space. Just imagine how we will be able to showcase and enjoy the Waldorf Fair, Windows into Waldorf tours, gym activities, games and after-school sports in our new space. We plan to begin construction over the summer, and expect to occupy the new space well before celebrating the graduation of our current 7th grade class. We will keep you up to date with progress in all areas connected to this exciting campus expansion. Please contact me or Pat Whitehead with any questions. Your interest and input are highly valued.